(TibetanReview.net, Jul26, 2017) – Police in a Chinese ruled Tibetan territory of what is now part of Sichuan Province have detained a Tibetan Buddhist leader on Jul 21 after he reported to them in response to a blank summon, reported the Tibetan Service of Radio Free Asia (Washington) Jul 24. The Buddhist leader, Tulku Lobsang, a monk of Boroe Monastery in Sershul (Chinese: Shiqu) County of Kardze (Ganzi) Prefecture, was accompanied by several other persons, including the monastery’s manager, when reporting to the police. When the group reached the police office in the prefectural capital Dartsedo (Kangding), policemen in civilian dresses took him into custody. And they told the others to return to their monastery to retrieve the identity card of Tulku Lobsang which he had not brought with him. 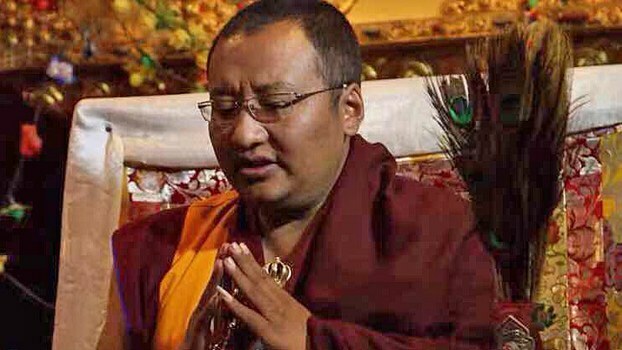 Following news of the apparent arrest, monks of Bortoe and laypeople from neighbouring villages immediately began to offer prayers for Tulku Lobsang’s safe return. At the same time senior monks and community representatives rushed to Dartsedo to seek the release of Tulku Lobsang, but to no avail. The Chinese police have not stated any reason for holding Tulku Lobsang, nor have they given any information on his current whereabouts and other details.